We maintain this blog as an information resource. We produce a monthly updated list of prisoners welcoming support. We take info stalls to events. We hold info nights/meetings, cafe and film nights, and the occassional fundraising gig, often in co-operation with other groups. 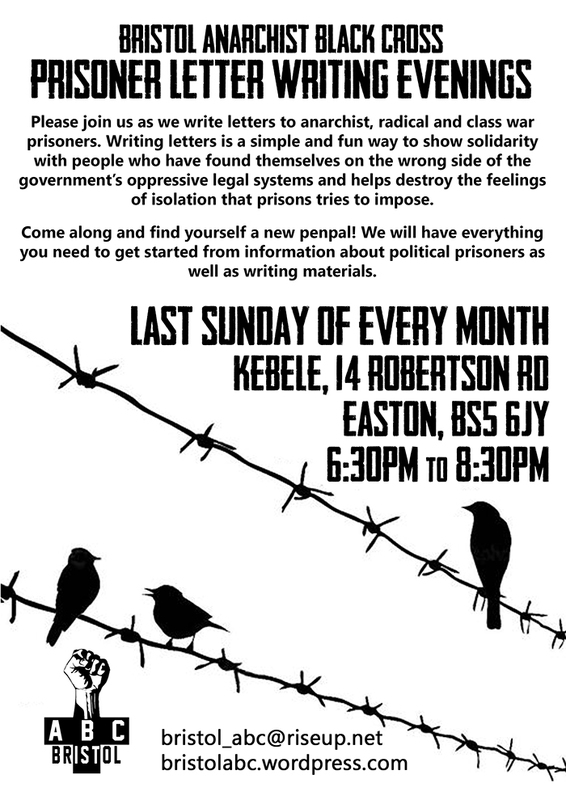 We host a regular Prisoner Letter Writing Evening on the last Sunday of every month at Kebele. This is a oppurtunity for people to come and write letters to prisoners in a quiet, peaceful environment. We will also have information on writing to prisoners as well as copies of our International Prisoners List. Somebody from Bristol ABC will also be there to answer any questions you might have! We are in contact with a number of UK and international political and social prisoners, and related campaigns. If you have an interest in supporting prisoners, and opposing the development of the prison industrial complex (PIC) in particular any new prison building programme, and opposing the development of the surveillance state, then get in touch to find out more and get involved. In our support for risoners we aim to look at each prisoners case individually. Although it is not possible for us to support each and every prisoner who might contact us (we primarily aim to support those prisoners who are either wrongly imprisoned; who have carried out some sort of political/direct action/self-defence activity; who are in conflict with the prison system), we will consider all the requests for support that we receive and we will always give a personal reply to everyone who contacts us. Regardless of who they are, all prisoners are being detained against their will by a system which aims to control at all costs. The group was formed with the aim of supporting prisoners locally and internationally. 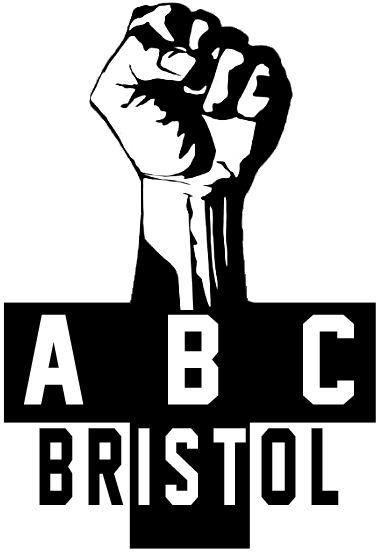 Those involved felt it was important to form Bristol ABC as an extension of our political beliefs, and as a practical example of the principles of mutual aid and solidarity. We also anticipate there will be an increasing amount of political repression, and therefore prisoners – there have always been people imprisoned for opposition to the system that governs us all.